I thought One to Watch was a great book. This is the 3rd installment in the Kay Hunter detective series, of which I am now a firm fan. Although I have chosen to read the series in order, I believe that One to Watch would be fine to listen to on its own, too. The main plot here is unique, with plenty of &quot;I didn't see THAT coming!&quot; moments. The author sets the stage with a teenage girl who is taking a 'Purity Pledge,' a concept that is actually common in some parts of the U.S., as we are shown by the priest who brings the ideals to this small English town. At her Pledge Ceremony, she is found murdered by her best friend, and the pool of suspects, including a boyfriend, a betrothed, parents, clergy, and more. I think One to Watch was highly entertaining due largely to some over-the-top characters whose status as old-money royalty they cannot give up, even with bankruptcy looming; or whose newer arrival to Britain isn't good enough without family links to the aristocracy. This added a dash of humor, and it was fun to watch serious Kay and her protoge Carys play along with them. The subplot of the vendetta against Kay moves further along, and she forms an alliance with the one person in the force who she feels she can trust- or so she hopes. Overall very enjoyable with twists I didn't see coming, and it kept me listening, so I highly recommend One to Watch. I received a free review copy of this audiobook and have voluntarily left this unbiased review. A young aristocratic girl is found murdered with a blunt force trauma during a family party in which she was pledging to remain chaste until her marriage to a rich boy. Kay Hunter is assigned to the case, but she will also be dealing with his superior and some strange events that may indicate she could be in danger. I'm absolutely loving these series. The story kept me hooked from beginning to end, and on the edge of my seat. Where the plot of the last book was a bit less appealing to me, this one got me interested from the beginning. Maybe because I found it easier to empathize with the young girl. Also the multiple twists and the fact that nothing was what it seemed kept the story engaging. The series arc also evolved in this book, reaching high creepy levels and asking more questions. We know more not only about Kay but also about her colleagues. I loved Alison Campbell's narration. Her tone kept me glued to my headphones, she beautifully interpreted the characters and gave them distinct voices and styles. Her diction is clear and the audio production was good. I thoroughly enjoyed the story and I just want more. This is one of the best thriller series I have read in a long time. I can sew it being made into a successful tv show. This was yet another great police detective thriller by Rachel Amphlett. As with the first two books in the series, it was gritty, realistic, and suspenseful. Another great partnership between Rachel Amphlett and Allison Campbell. Note: This is Book 3 but it works fine as a stand alone. This series keeps getting better and better. I am impressed. Detective Kay Hunter continues to grow in depth and the plot is tighter and a little more complicated than the last book. There’s also a bigger mystery that we get small pieces of in each book. Sophie Whittaker starts off dead so we only get to know her through the people she’s left behind. It seems everyone loved her… or did they? She comes from a prominent family and the police are pushed to make an arrest right away. But our clever Kay questions whether they truly have their murderer. One of the things I really liked about this book was how Kay’s team with their immediate boss Sharp really gel together. They have common goals and a very unreasonable manager. Kay has been missing that camaraderie that she had a few years ago before some evidence went missing and Kay was suspected of ‘misplacing’ it. This missing evidence continues to be part of this bigger mystery that stretches across all 3 books. Don’t worry! If you haven’t read the previous books, all the pertinent info is nicely repeated in this story. Kay finds some very disturbing things related to this and she decides she finally has to trust someone else besides her husband Adam. Yay! I love how this is developing. OK, back to Sophie. Her prominent family has agreed to an engagement to the son of a local wealthy businessman even though Sophie is only 16. Then there’s this interesting Chastity Vow that has strong Christian undertones. Various characters react differently to this. I definitely agreed with Kay and Kariss. It was definitely an interesting wrinkle in the investigation. Toss in some black mail, plenty of hidden secrets, secret lovers, and a looming financial disaster, you have plenty of suspects. One to Watch is a thoroughly riveting tale! 5/5 stars. The Narration: Alison Campbell is a perfect Kay Hunter. She sounds analytical and hard when she needs to but can also be that loving wife and good friend. Campbell was great with all of Kay’s emotions in this story. Most of the characters sounded distinct but some of the young men did sound like women from time to time. There were no technical issues with the recording. 4/5 stars. Children should never be faced with death. It is immoral, it is devastating and it is tragic. But, who do you place the blame on? If it is cancer, the blame is placed on doctors or perhaps the man upstairs, but there is rarely ever vengeful thoughts or a demand for justice. When it is murder—that blame is placed irrevocably on the person responsible for abruptly ending that life. Murder makes everyone look guilty and suddenly motive is everywhere, but could it have been random? A complete stranger or was it someone close? Amphlett has an intriguing third installment in her Detective Kay Hunter Mystery series which will leave readers entertained and guessing for most of the story. Detective Kay Hunter is always the one with the whodunit cases. A teenage girl is found dead at a party that is meant to celebrate her purity pledge and engagement to the boy of a wealthy and well-known family. Secrets run amuck in this mysterious tragedy, but Detective Kay Hunter doesn’t have the clearance to get to the bottom of things quickly. Instead, since the families involved are high-end, they have to tip toe around all of the evidence that they find. It is easy to guess that everyone had motive to kill Sophie Whitaker, but who actually did it? Once the murder suspects are all out on the table, no one can hide behind wealth or fame. Can Detective Kay Hunter crack this case open or will this case be the one that ends her career? If she doesn’t watch her back, her superior may find reason to ruin her once and for all. Amphlett has a great third installment with her Detective Kay Hunter Mystery series, One to Watch. The character development is purposefully slow as to not give away the whole story-line right away, but the pace and flow are steady. 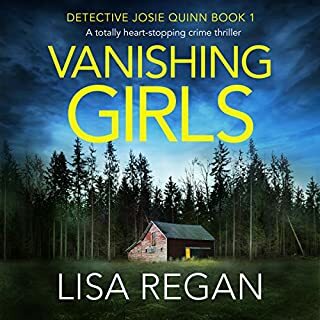 Since this review is complementing the audiobook, the narrator portrayed the characters beautifully and with the author’s vivid description, they both gave life to the story together. The narrator may need to work on her accent building when shifting between British English to American English, as some of the dialogue was quite stiff and pronounced incorrectly, but sometimes that can be a very tough mission to accomplish. If you are a reader of murder mystery and crime fiction, you may enjoy this book. 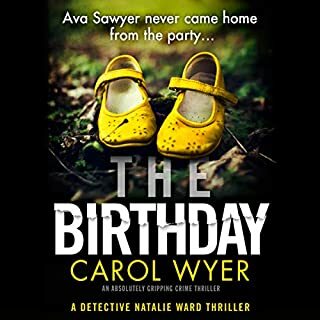 With this being the third installment in the Detective Kay Hunter series, readers can still read or listen to this book as a standalone, but their are hints and nods back to the first and second installments. An audiobook was provided to Turning Another Page by Audiobookworm Promotions and in no way affects the honesty of this review. 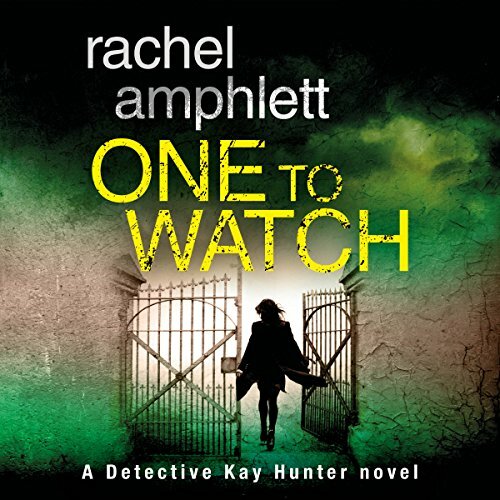 We provide a five-star rating for One to Watch by Rachel Amphlett. 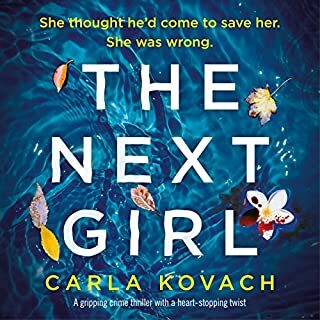 At a large country estate in Kent, a teenaged girl is murdered at a private party and Detective Kay Hunter and her colleagues are shocked at the brutality of the crime and at the reactions of the people involved. Sophie was the daughter of a snooty British aristocrat and her more mild-mannered husband and the party was intended to celebrate a rather odd ceremony for Sophie, one of purity. Some of the tenets of this purity pledge carried their own very creepy tones, not least of which is the idea that the teen girl must be chaste until marriage but the teen boy is forgiven all his behavior once they marry. This particular crime is a lot more difficult to investigate than some because of the roadblocks put in the team’s way due to the wealth and position of the various parties. DI Sharp assigns Kay and Barnes to follow certain leads while other detectives look into different aspects of the murder but each path brings them to confusing tangents that introduce ever more urgent questions. All the while, DCI Larch seems to be bent on protecting the sensibilities of Sophie’s family as well as another family whose American money apparently make them off limits. It soon becomes obvious that this is no “routine” killing and an ultra-conservative religious program is in the mix along with greed on all sides while two very different young men are devastated by Sophie’s death…or are they? Could a major secret have been the impetus for the crime and just who was Sophie, anyway? Meanwhile, Kay is still trying to conduct her own investigation into why someone wants to destroy her career and she and her husband, Adam, begin to see that this could ultimately be much more dangerous than they initially thought. All the characters I’ve come to like so much, and even one or two I don’t like so much, are back in this series entry and I really enjoyed the time I spent with them and the investigative efforts needed to solve this awful murder, sunk in a bog of corruption that is as unpleasant and distasteful as can be. I’ll start with the audio narration first! Campbell has done a great job with these characters over the course of this series. I love her voice for Kay Hunter and I couldn’t imagine anyone else playing the part! I love her voice in general and think she does a good American accent as well. There is an issue with some of the male voices in this book. There were a couple that sounded too similar, so I had a hard time figuring out who was who in some moments. The studio production seems to be great, no weird noises or difficulties hearing everything. I give the audio a 4/5 stars. Amphlett’s stories are becoming more complex and involved as the series progresses. I like the theme of religion and grief in this novel. There are a lot of interesting components that this author brought to the story that kept it alive outside of the main murder mystery. I will say Kay seemed to come across as strangely brisk in moments, but overall I enjoyed listening to another Kay Hunter story! I am excited and sad for the next novel in the series. It’s the last one that I have, so I’m 99% sure I’m going to have to get the next one in the series or I’ll go crazy! I give the story a 4.5/5 stars! I received this audiobook as part of my participation in a blog tour with Audiobookworm Promotions. The tour is being sponsored by Rachel Amphlett. The gifting of this audiobook did not affect my opinion of it. This is the third Kay Hunter book that I've read and I'm enjoying the series. 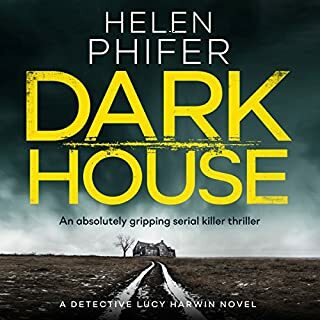 Kay Hunter and her team are called to investigate the murder of Sophie, a teenage girl who was from a prominent family. She was supposed to get engaged to Josh Hamilton but instead, she was murdered. As they investigate her murder, the list of suspects continues to grow. Was there anyone who really knew Sophie? The secrets Kay and her team uncover seem to suggest otherwise. I like Kay Hunter. She’s intelligent, strong, and dedicated. Her boss is difficult to work for but she knows what she’s doing. She doesn't always follow the rules, but she tries. She continues to focus on the case she's working on even when she knows that someone is watching her. She's not sure why and she's hoping she can get to the bottom of it at some point, but first, she needs to find a killer. Rachel Amphlett has a great writing style and the narrator does a good job with pace and enunciation. Between the two of them, it's difficult to stop listening to the story when I have to do something else (like talk to my husband). One to Watch is a detective mystery with a good twist at the end. I recommend it if you like crime fiction. It's the third book in the series, but it does stand on its own. I’m looking forward to listening to the book number 4! Narrator Alison Campbell is absolutely amazing!! 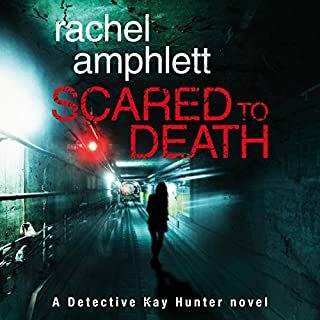 Having listened to the prior two books straight through in one day, I prepared myself to do the same with One to Watch, the third installment in the Detective Kay Hunter series by Rachel Amphlett. It was a good move! One to Watch starts with a creepy crime and is non-stop twists and turns until the finish. In terms of the whodunit aspect, I was confident that I had solved the mysteries -- and was consistently wrong. this was another brilliant chapter in the ongoing life of Kay Hunter bring on four.